We just recently returned from visiting with both my family and my husband’s family. Both our families live in Louisiana, so this was a nine-day vacation for us. One important thing I learned is that because Louisiana is our home, our family doesn’t realize that we are on vacation when we are there. A lot of times they think that since we are “home”, we should just do whatever we did when we lived there. However, that doesn’t work since we haven’t lived in Louisiana for over 24 years. Since Katrina devastated the city of New Orleans, nothing is the same, so there are often times when we are very lost in a place where we both grew up. While I am still questioning this East Coast way of living and longing for family, this is the life my son knows and he has all the family he needs here. My son always reminds us that New Orleans is our home – not his. So for him, it is truly a visit. 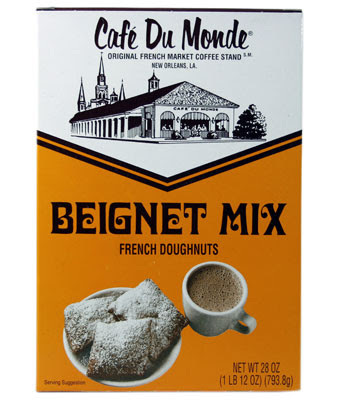 There were lots of things he wanted to try, one of which was the famous “beignets.” He also wanted to try a snow-ball, another dish the city is known for. I am disappointed to say that he did not enjoy either of them. On the plane ride back home, I asked him what he enjoyed most about the trip and he did say he enjoyed seeing both families and that he would like to visit more. On the other hand, for me, the visit was a bit odd. My last visit was October 2013, when my father passed. My father was my only living parent for the last 25 years, so to go home this time and not see him was stressful. I felt as though I did not want to bring up his death because in the months afterward, my family was left with the task of cleaning out his home, letting go of his things, and putting their lives back into perspective. So while I often found myself feeling very sad, I did not want to project that feeling onto anyone else. I certainly did enjoy visiting with both families, and I always enjoy getting to spend a vacation at the beach. Enjoy what’s left of your summer vacation.